�����Metal prices have rebounded since their recent lows with Gold up $40 in the last week and a half, now hovering at the $1,230 mark. Silver is up to $17.38 and Platinum is higher at $1,261. Dealers and investors are hopeful that a positive two weeks will help the overall market going into one of the last major shows of the year when Whitman hosts the Baltimore Expo at the end of the month. For now, Proof Gold Eagles are trading at $1,430 an ounce in the OGP and Proof Silver Eagles are slightly soft at $48. 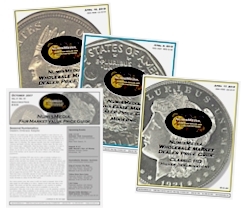 Bags of VG Silver Dollars are steady at $24,350. �����This past week the PNG Invitational was hosted at the Millennium Broadway Hotel in New York City. This inaugural show had not one but two major auctions to attract dealers, collectors and investors. 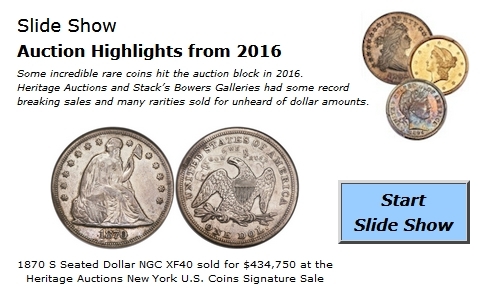 There is certainly a lot to choose from when the likes of Heritage Auctions and Stack�s Bowers Galleries compete for the millions of auction dollars that these experts have to spend. Below we have listed some of the many highlights from these two sales. 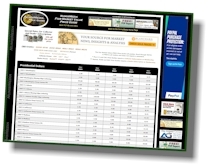 �����This week�s HD Wholesale Market Dealer Price Guide shows numerous declines in the U.S. Gold charts. While Gold is back up in the last few days, the majority of adjustments are lower than the last printed guide. Most common dates in the $2� Gold series up through $20 Saints are lower in most grades from VF to MS64, and even some MS65 dates have declined. �����On the bright side, the rare dates are steady in most Gold series with some even advancing. 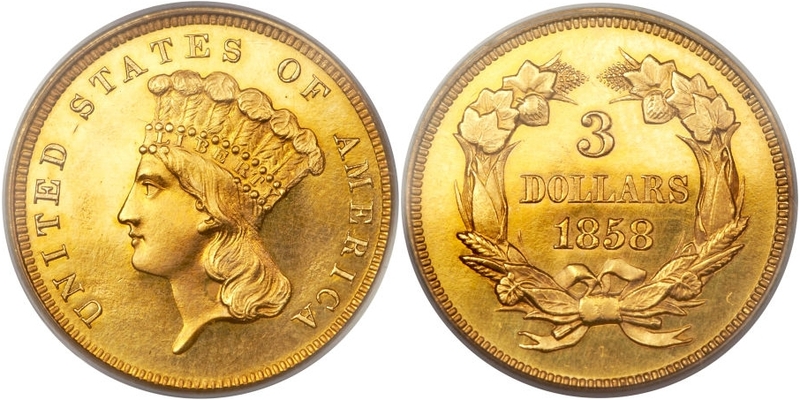 The 1861 D $1 Gold is up in MS60 through MS62; The MS62 is now at $68,500 Market. In the $5 Gold series, the 1814/3 in AU55 is higher at $10,500, and in early $10 Gold the 1800 in AU58 has climbed to $22,500. Type I & II $20 Gold coins are still very active at current levels in most grades from XF through all the Mint State grades.